Hailing from Ahmedabad, River is five piece rock band that specialises in 70s and 80s rock covers and onstage tomfoolery. They’re one of the few bands championing the sound of keyboard and guitar driven 70s and 80s rock music. Besides covering bands such as White Snake, Deep Purple, Rush, Marillion, Journey and Toto, they have also played a Pink Floyd tribute concert. They take their food more seriously than their music, and their music more seriously than themselves. When he isn’t busy making buildings, Paras is laying down the band’s rhythmic foundation. He’s also the guy who knows interesting bits of info on other bands and musicians. Powering people’s lives through his renewable energy company by day, Karan powers the band’s sound by hitting things hard. A true fitness enthusiast and a sonic force to reckon with! Loitering around in the low end of the band’s sound, everyone literally looks up to Marc. The band’s badass axe wielder and all round good boy, Dwit unleashes everything from soulful bends to serious electric fury, and he makes it look easy. 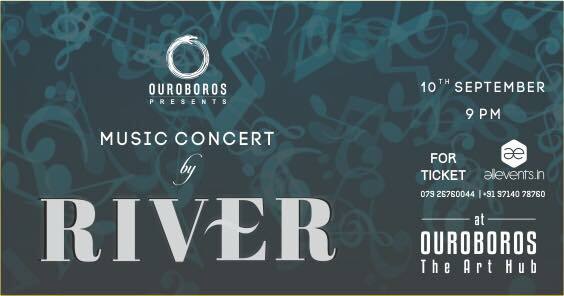 The man with the voice, Arnav, with his soaring, soulful vocals and keyboard wizardry, is the driving force behind River.